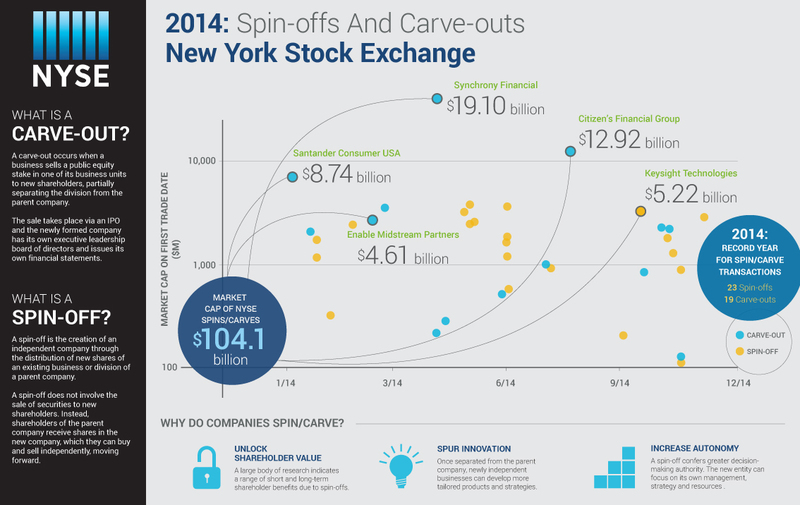 With 23 spin-off and 19 carve-out transactions taking place on the NYSE, 2014 has been a landmark year for these transactions. It is a testamant to the strength of the relationship between the NYSE and our listed community. There is a large amount of research that shows that spin-offs and carve-outs are an effective means of unlocking value for shareholders and strategically aligning companies as they evolve. 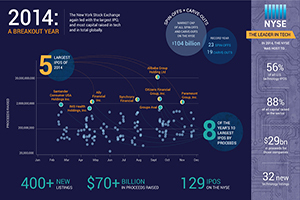 The New York Stock Exchange is proud partner to our listed companies, and looks forward to helping more of them navigate their journey as they grow in 2015.